The following rules of the dojang follow basic martial protocal and were created to encourage student safety and enjoyment of the class. Bow whenever you enter or leave the training hall. If arriving late, you should perform mediation on your own before joining class. 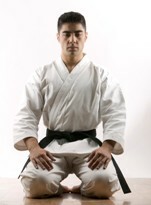 Your uniform should be clean and pressed with the Hapkido patch attached to the jacket. The school t-shirt should be worn at every class. The class instructor should be addressed as “instructor” or “sir/mame”. Horseplay or distracting/loud conversations in the dojang are not acceptable. 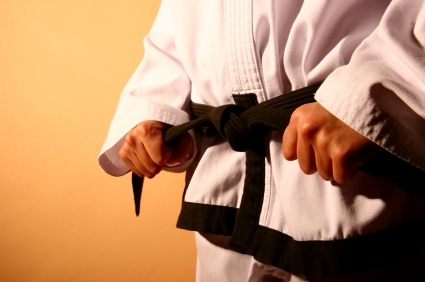 Do not demonstrate or teach Hapkido outside of the school without explicit permission of the instructor. Each student is a member of our family. Please let us know if you are ill, going on vacation, or will be absent for an extended period. Rings with elevated gemstones, hoop earrings, necklaces, watches, and bracelets should not be worn. If you need to leave class early, ask the instructor for permission to leave and bow to the school before exiting. Do not attempt to practice techniques you have not been shown directly by your instructor.